Asparagus has a very distinct flavor and shape, compared to other vegetables. This long, thin veggie is bright green with a pointed tip and makes a delicious side for any dinner. Remove woody stem ends (approximately 2-2.5" from base of stem) before cooking. 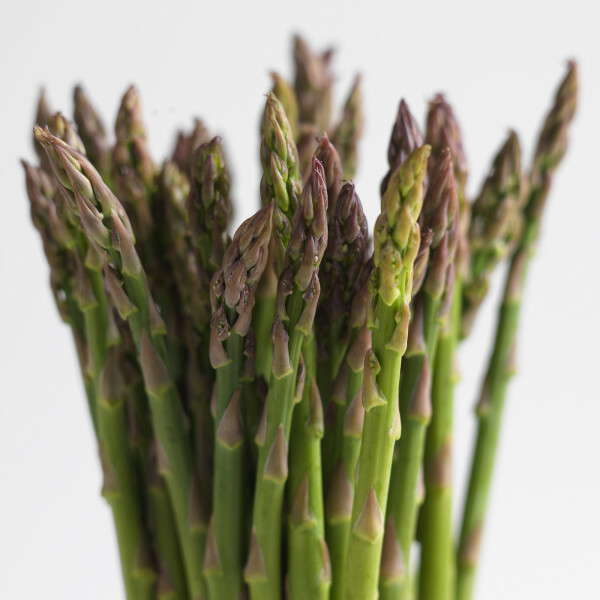 Asparagus can be sautéed, roasted, or steamed and lightly seasoned with salt and pepper as a delicious side dish or added to salads, pastas or quiche. Another popular alternative is to wrap it in bacon or prosciutto before roasting - perfect as a side or party appetizer! Snap off the tough ends by bending the stalks; they will break where the end becomes woody. Choose spears that are bright green and firm. Thicker asparagus are usually more tender compared to thinner ones. Make sure stalks are not limp or dry. Always wash fresh produce before consuming.